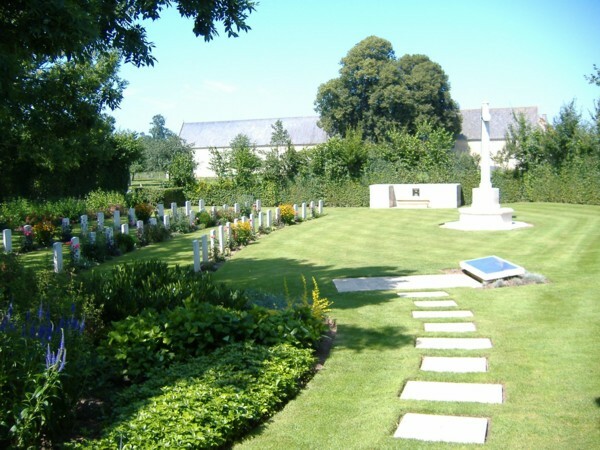 Jerusalem War Cemetery lies in a tiny corner near the village of Chouain, near Bayeux in Normandy. After the 6 June 1944 landings it was the scene of bitter fighting as a German armoured column sought to recapture Bayeux. Burials started on 10 June and, though it remains one of the smallest CWG Cemeteries, it is especially poignant as it contains the grave of Jack Banks, of the DLI, who, at 16, was the youngest Allied soldier to die in the landings. The local school children hold a service there every year to celebrate those who gave their lives to liberate France. I was privileged to be there to join in the ceremony during one of my WW2 lecture tours in Normandy and it remains a moving memory for me.